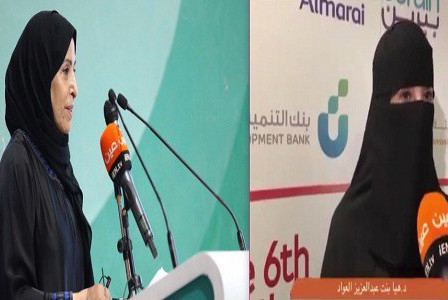 Manama: Intellectuals and writers in Saudi Arabia have come forward to defend the kingdom’s Deputy Minister for Girls’ Education Haya Al Awad after she appeared in public without her niqab. No details were provided about Al Awad’s decision to lift the niqab that kept only a gaping slit for her eyes. While a few users on social media attacked her for “not keeping up with religious and social traditions” many others, including religious figures, praised and defended her insisting she did not do anything wrong. “Dr Haya Al Awad is living according to her convictions within the framework of significant jurisprudence pluralism,” Sulaiman Al Tareefi, a religious preacher, said. “Our jurisprudents have decided that these matters of ijtihad, the independent reasoning as opposed to imitation, cannot be dismissed,” as Tareefi added. Saud Al Musaibeeh, a media and education advisor, said that he “hailed Al Awad for adopting the stance of religious scholars who allowed women not to cover their faces. “She is following what she believes is right regardless of what she has to endure from those who oppose her view,” he said, quoted by Saudi news site Al Marsad on Monday. Literary critic Abdullah Al Ghadami said that Al Awad had followed an authorised religious view and that whoever attacked her would be violating jurisprudence rights. Blogger Hatoon Qadhi said that although she generally kept her distance from issues related to the hijab, niqab and burka, she felt she had to join in the debate in the aftermath of the humiliating attacks on a respected woman holding a high position. “Dr Haya does not need anyone to defend her because she has made no mistake. In fact, I wish she would go ahead and prosecute all those who have abused her,” she posted.